Dark magic holds no bounds. 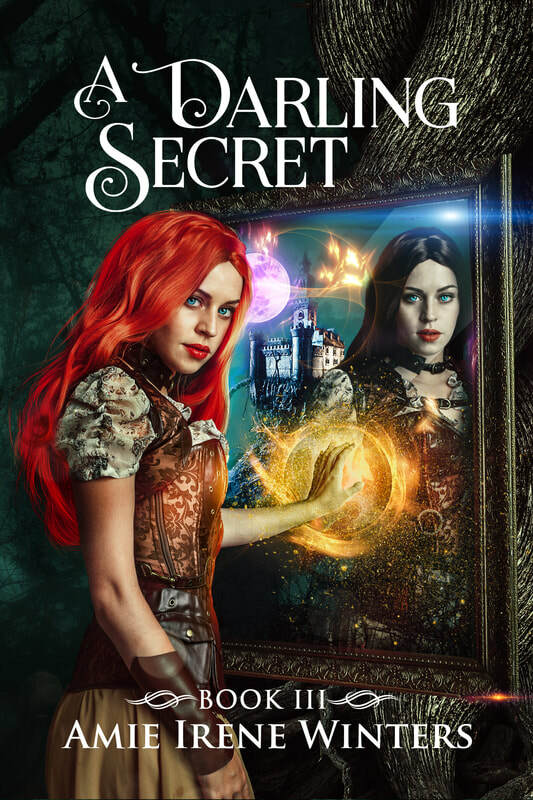 A DARLING SECRET is the heart-pounding third installment in the Strange Luck Series—a fast-paced YA supernatural adventure that delves into true love, loss, and self-discovery in a unique magical world. "Twists and turns and beautiful fantastical realms have become Amie Irene Winters’ calling card. A Darling Secret is the perfect end to the unpredictable and adventurous Strange Luck series." "Winters has always had a knack for setting a convincing stage, and this work is no exception. Then she takes it a step further, twisting the whole thing about and giving us something of a surprise, demonstrating more than just her world building, but her ability to tell a darn good story...A Darling Secret Is A Darling Finale." "It is the journey of discovery throughout this series that will have readers hanging on to each page!" "This is a fantastic ending to an exciting and thrilling series. Amie Winters continues to offer up surprising twists in this last installment, along with a very sweet and satisfying ending...Thinking about this series in its entirety, I am awed at the imagination of Winters."